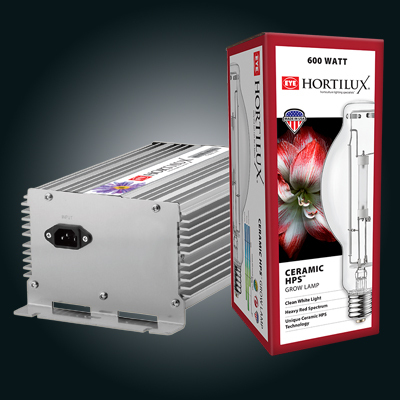 Operating the Ceramic HPS lamp on an EYE HORTILUX ballast is the only way to ensure consistent performance and maximum plant yields as lamp/ballast compatibility is guaranteed between these two products. 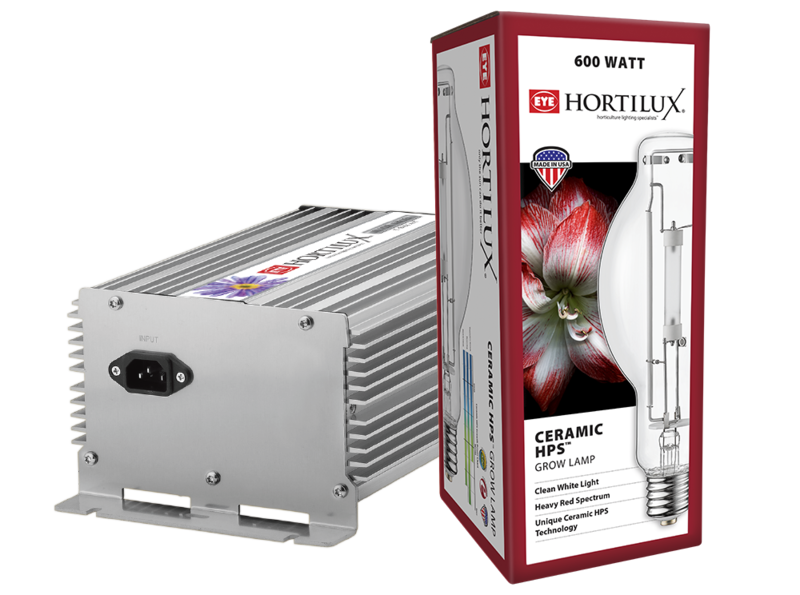 The 600W Ceramic HPS Lamp Ballast Kit provides growers the flexibility to operate this popular lamp with their existing reflector. The Ceramic HPS can take up to 20 minutes to get to full power, which is why it must be run on an EYE HORTILUX ballast. The EYE HORTILUX Silver Ballast, included in this package, is the same ballast used on the SE 600 Grow Light System. This ballast allows for the 20 minute sunrise feature, providing the lamp plenty of time to get to full power. Only use with EYE HORTILUX e-Ballasts. Long range igniter installed – Up to 15 ft.